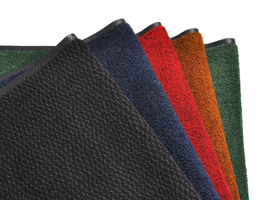 Our mats prevent dirt and germs from spreading across your medical facility. As an individual walks into your healthcare establishment, the mat grabs and holds onto dirt and bacteria that would have otherwise been tracked in. We then pick up the mats to launder them so they are good as new. They prevent slip-and-fall accidents by adding traction to the floor. This reduces the risk of extra injuries to both your patients and your staff. Where there is a mop, you need a bin to fill with cleaning fluid. 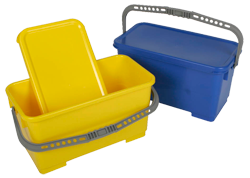 Our mop buckets are sturdy and easy to transport. Our durable mop buckets make cleaning easy and are the perfect size to accompany our mops. The frame and handle allow for ease of movement when cleaning. 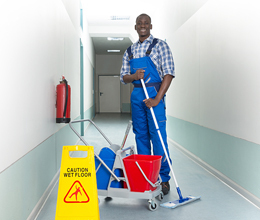 By standing farther away from the spill or potentially harmful mess, this mop frame and handle can help prevent the spread of illness to janitorial staff. Allows for easy switching out of mop heads. Easy to replace and even easier to use. Our loop mop heads are excellent for cleaning up big messes or large areas. They are made of a durable material so they won’t break apart on your floor. 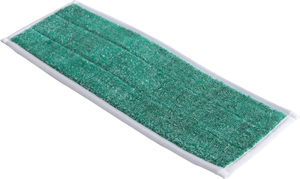 Our microfiber dust mops are essential to pick up dust and debris, instead of spreading them. The microfiber material makes it easy to clean out every small crack in your floor. 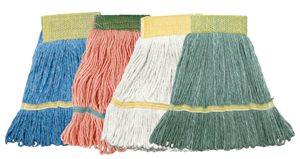 These mop heads are great to use in hard-to-reach areas. They also have excellent absorbency and durability.